Clear Choice Technical Services is currently one of the biggest names in printer and copier leasing in the US! We provide amazing and flexible deals in partnership with the leading brands in the market today. Clear Choice Technical Services might just be one thing you all your personal, office and business needs. For an assessment and a free quote even, check out our website or give us a call now! Our lease contracts allow clients to negotiate the most beneficial agreements possible for their business. We provide a budget friendly rate that can already include maintenance, repair, and even equipment upgrades as soon as a new model comes out! The most useful machine in your office deserves nothing but the best service. For breakdowns and inevitable time-to-time malfunctions, our well-trained technicians got you covered! We also pair it with excellent maintenance to further minimize machine rundown. For businesses avoiding long-term commitments, why lease when you can buy? 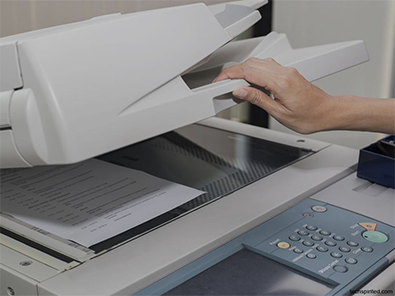 Buying your very own copier can prove to be a sound investment in the long run as not only will you have full control over the machine but you can also save on leasing fees! We currently offer best price guarantee on all copier acquisitions. Our technicians are trained to service all said brands for any of your copier troubles. Not only are we number one in service but also in providing supplies! We offer bargain replacement parts for the most popular brands today including consumables such as quality toners and even quality copy paper of all sizes! Our friendly customer service representatives are currently waiting for your call! Pick up the phone and dial (404) 369-0911 now! Avoiding large upfront cost is the main reason why 4 in 5 companies in the US rent printers instead of purchasing them. Our rental service can help you do the same! We currently offer very affordable rental fees in exchange of quality equipment and excellent service. For breakdowns and malfunction caused by normal wear and tear, we also offer reliable repair services! Our repair team is known for their fast 8-hour or less onsite response time and immediate one-trip repairs. You also have free and unlimited service calls for any printer troubles, 24/7! Visibility is the key to a company’s success in advertising and marketing. For any of your poster, brochure, and banner printing, Clear Choice Technical Services got you covered! We offer affordable large format printers from the best brands in the market today. These brands are known to provide the latest technology in printing today! If you have another awesome brand in mind, call us at (404) 369-0911 to check! Chances are we also have it available at the lowest price possible! We also offer the best products for all your refill and consumable needs! We have an endless supply of budget-friendly Plotter inks, printheads and maintenance cartridges. For quality repair and replacement parts, however, we only offer original and OEM ones. Remember Clear Choice Technical Services for all your office printing needs! In partnership with the most popular brands in the market, we assure you that only brand factory-trained technicians will be tasked to service and repair your printers! They will be on time for all service appointments and provide immediate assistance at a guaranteed pocket-friendly rate! 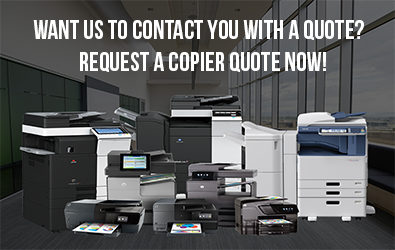 Get the latest printer and copier at the lowest price possible! For flexible terms and leasing options, dial (404) 369-0911 today!